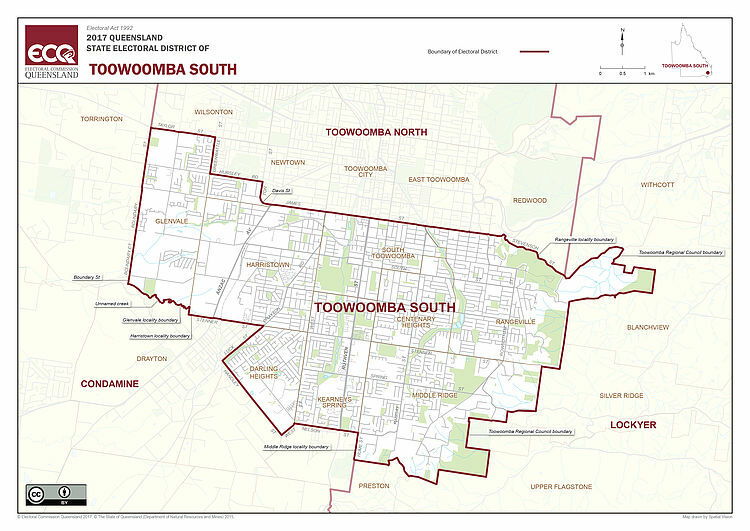 The Toowoomba South electorate covers the eastern and inner southern suburbs of Toowoomba, generally south of James Street. It includes Glenvale, Harristown, South Toowoomba, Rangeville, Centenary Heights, Kearneys Spring, Middle Ridge, parts of Newtown and parts of Darling Heights including the University of Southern Queensland. 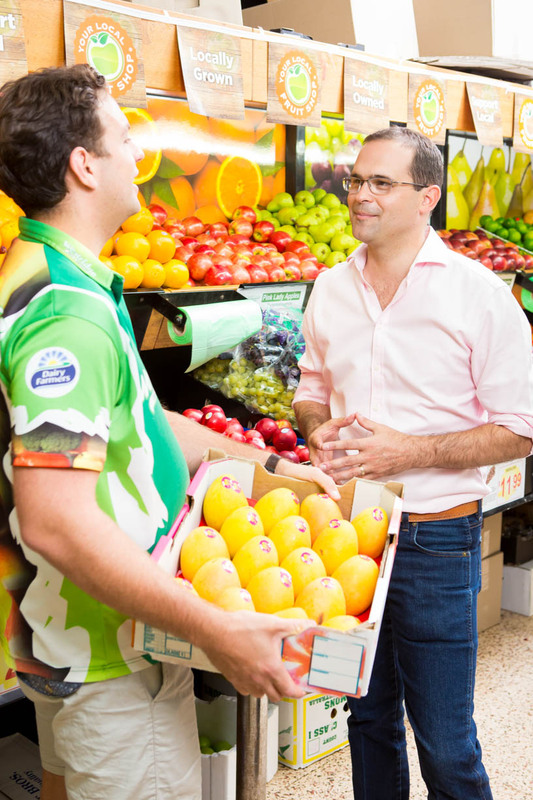 The electorate covers 40 square kilometres and excludes the outer areas of Glenvale (west of Boundary Street) and Darling Heights (south-west of Handley Street) which fall in the Condamine electorate.